St. Paul's Lutheran Church was built in 1873 in Willow Township in Richland County. The church was moved in 1973 intact with the roof structure removed. 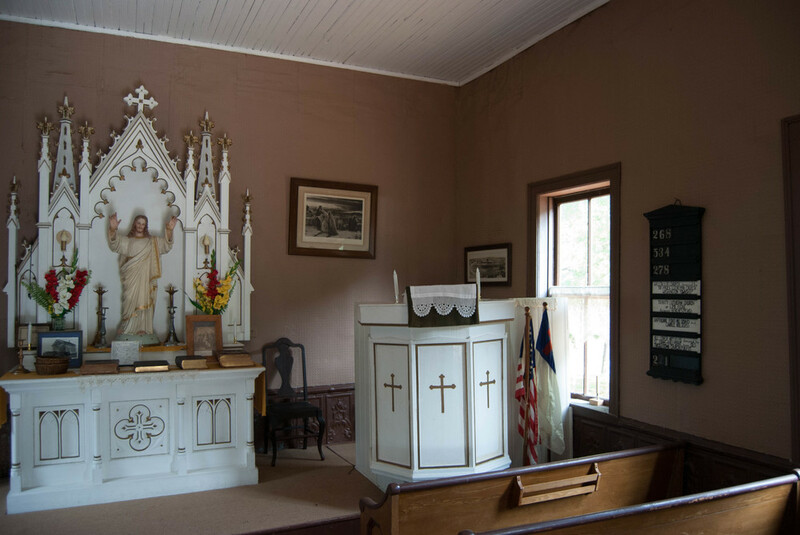 The pulpit and altar came from the original church. 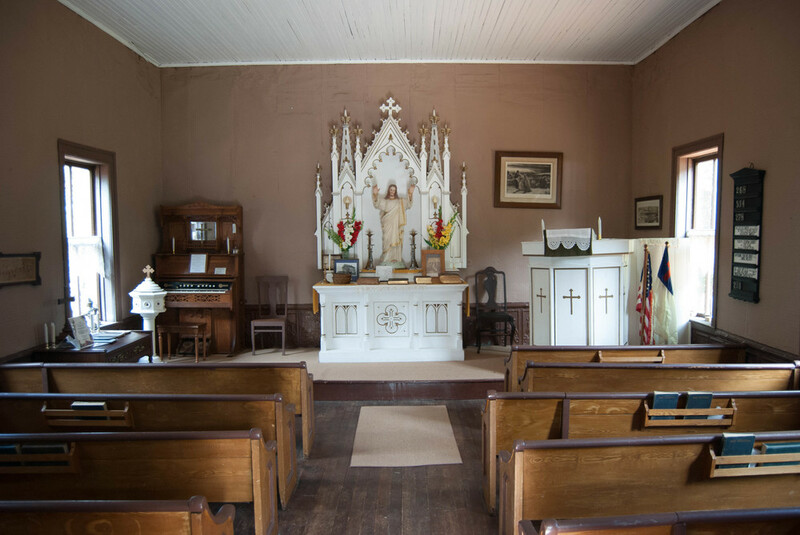 Today the Willow Log Church serves the village as a non-denominational chapel housing the history of many congregations in its collection of bibles, baptismal fonts, pump organs (one which is restored and playable) . 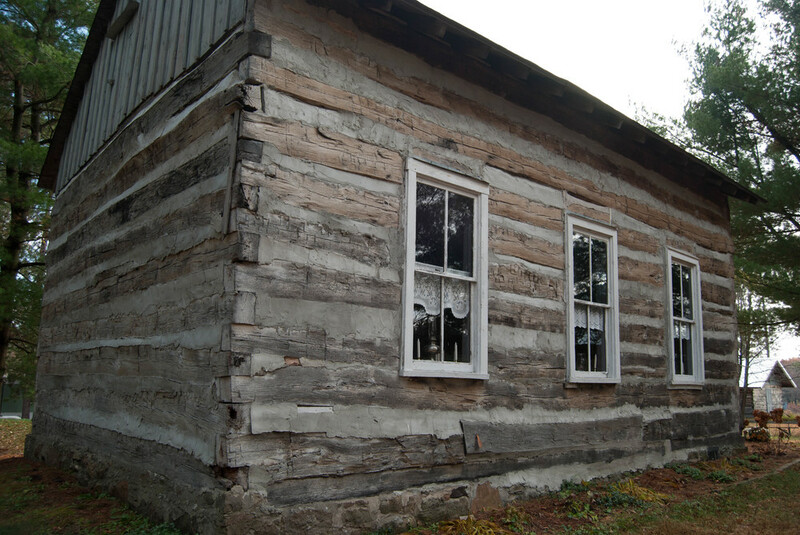 At one time, the exterior of the church was clapboard siding. As you leave the church and head for the one-room school, pause and look at a single log the entire length of the church. Think of the great weight in moving much of the structure intact. This was the last building that the Highway Department allowed the Society to move intact. Next to the church is a reproduction cemetery. All stones used were donated by area residents who replaced the original with modern stones or markers.